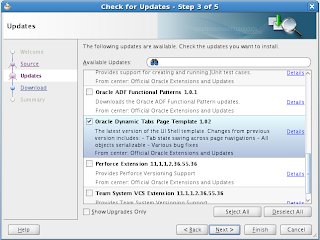 My colleague told me this morning, he saw that Oracle UI Shell template update is available. And it wasn't April 1st joke ! :-) This update was very important for us, we were facing bugs when multiple dynamic tabs were opened at the same time - its solved now. Thanks Oracle, good job. 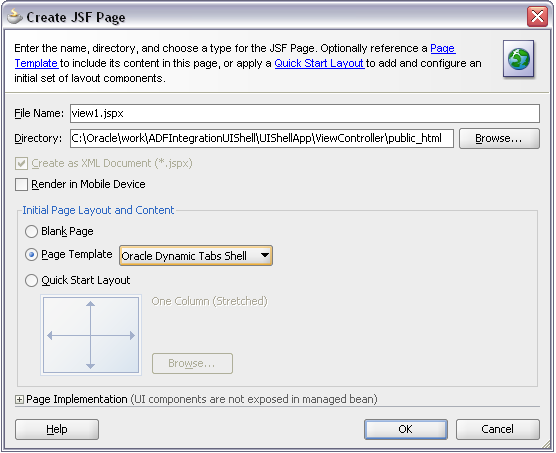 More about this template you can read on Oracle UI Shell Functional Pattern page. 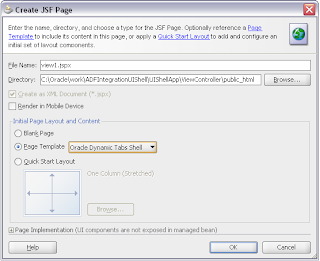 Oracle UI Shell template is a great pattern for application integration through Dynamic Tabs. I have developed simple application with multiple Dynamic Tabs based on Dynamic Regions from ADF Task Flows packaged into ADF JAR Libraries - ADFIntegrationUIShell.zip. Today post is a next in my Integration series. Thank you for your best weblog . I live in Asia -> Iran -> Tehran . I see your weblog every week for new techniques in JDevloper . Thanks, its inspiring to post more good info. Thanks for your reply ... and I have updated my Ui shell updates. I'm working on a big project to developing a complex system with ADF 11g. We have various applications (packaged in JAR libraries) which should be integrated on a main application. The logical applications should invoke each other and pass parameters. Following the UI Shell pattern, what is the best approach to pass parameters between the applications? You can do this programmatically, UIShell 1.02 supports this. with interest I follow your blog. 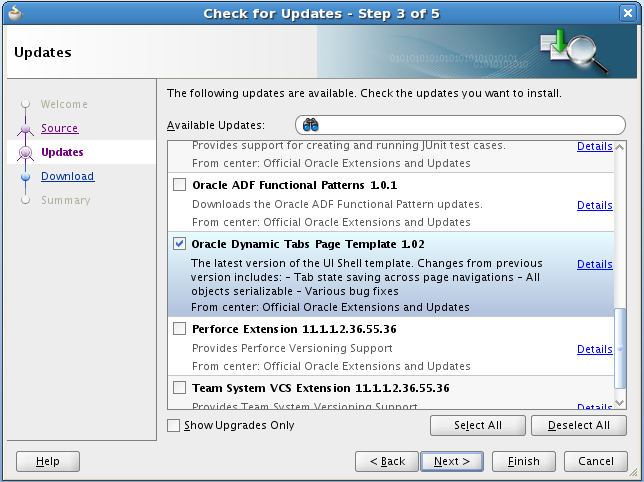 This one is for Oracle Fusion Apps, we dont have public JDev download yet. I wanted source code of Oracle UI Shell 1.02. Could you tell me from where I can get that? I guess only from Metalink, Oracle Support. Using the method described I implemented the dynamic task flow. It worked fine until I applied ADF security to the application. The tab header is showing but the rest of the fragment isn't displaying. can build right side navigation also using this UI shell version?? i mean in addtion top,bottom left and center content areas, can we have right side context area too?? Yes, you would need to change it in UI Shell source code.